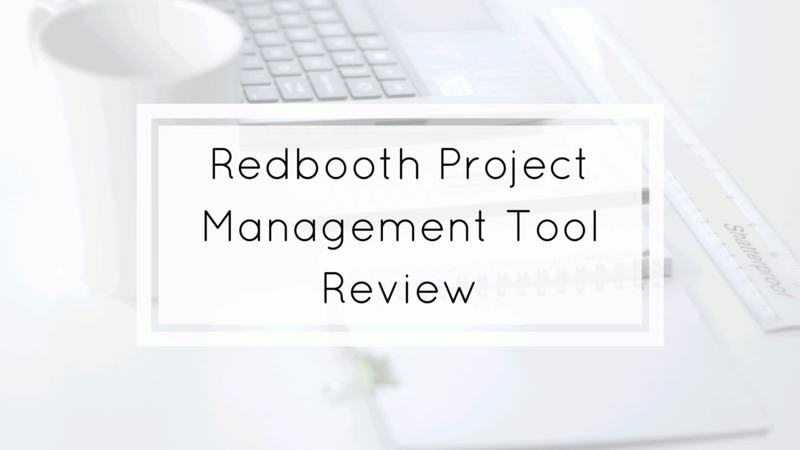 Today I want to review the project management tool Redbooth. The overview is really simple and clean, without many buttons and text. In the menu bar, you have a search box for a quick search, a + button to simply create a task, workspace or task list, start a conversation or invite a team. The Dashboard contains Notification about “My Tasks” and general tasks from every workspace sorted by due dates. When you click on Workspace in the menu bar you have the option to search a workspace, add a workspace or click on an existing workspace. The workspace displays the project you are planning or managing. Under an existing workspace, you have following options: Tasks, Conversation, Files, Members, Settings. In Task, you have the option to create tasks and to create task lists. You can easily move a task to another task list. On task, there is the option to set a start date and end date, assign a member, add a description, add subtasks, make a comment, attach a file, insert how much time you spent on this task and you can mark it as urgent. You can change the view to timeline to see all the tasks in a Gantt-Chart. In Conversation, you can create a new conversation with teams or members and you can see all conversations regarding this workspace. Files is like an explorer. You can create a folder or upload and download files and see the files in preview. There is also an option to create a public link for external members. On Members, you can see all members invited to this workspace. It´s possible to add multiple members in the network or external by email. The external members will get an email where they can easily create an account (name and password). When you open a member you can see which tasks are assigned to the member or assign a task. On Settings, you can change generals settings like the name of the workspace or the visibility. You can set the color of the workspace, find the email address to send an email for starting a conversation or add a task (This will work only for users in the workspace), connect integrations, archive the workspace or delete it. On Reports, you can create reports of nearly everything like task overview, tasks by user, calendar, workload, time tracking, workspaces or users. On the General Settings you have the option to change settings on the own account, set notifications, manage integrations or to subscribe a calendar or RSS feed. On Manage Organizations you can set many things from advanced features to backup everything. Here you will find all options you may miss on the menu bar. Redbooth helps you to manage your team’s projects and day-to-day work. Connect your favorite chat, email, and file storage apps and have everything in one convenient place. Meet your deadlines and never drop the ball again. Finally, stop reinventing the wheel! Capture repeatable processes with checklists and templates. Streamline your team’s workflow. Keep an eye on things with powerful productivity reports. And create beautiful Gantt charts with a single click. Redbooth is simple online task and project management software for everyone. With its intuitive, user-friendly design, it’s a breeze to capture your team’s to-do list and check things off when they’re done. On the first login, I thought that many options are missing but the options are well placed. The logic is different compared to other project management tools but I like this way. After 10 minutes it was very easy to handle and to understand everything. I would classify Redbooth more in the range of task management and light way project management but in a very good way. For deep project management, some options might be missing. For more information check out the Redbooth website or our project management section.